The real key to keeping up with a daily exercise routine is to not get into any routines because most of us find them extremely boring. So what you can do is use several types of workout machines so they will keep the entire process engaging and interesting for you. That is why we think you should give a chance to one of the most interesting technologies to hit the workout market in a long time, the ab wheel. It is not really the latest thing to hit the market but we have seen several models in recent years that are coming up with more and more interesting options and accessories. So we decided to put together a top 10 best ab wheels of list to get you inspire to restart your workout regimen. What follows is a table with the most prominent features of the ab wheels we have chosen, and right after that you can deep dive into the respective analysis we have done for each individual product. We are going to start with what we believe is the ultimate ab wheel and the one product that we think anyone could benefit from. 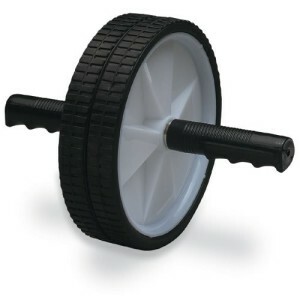 It is somewhat expensive, in fact it is almost twice the price of many other wheels on the market or in this list, but, when you learn about how brilliantly it was designed, you will understand why you need to have this ab wheel. 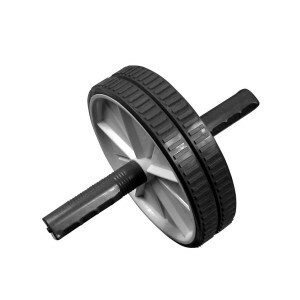 The first thing you will notice is that the Ab Carver Pro is much wider than most other ab wheels on the market and that gives you a better sense of stability as you are going through the exercises, and it also allows you to focus the workout on either your left side, or your right side, or center. The rubber layer on the outside of the wheel is also very safe for your floor, or carpet or whatever workout surface you are using it on. Finally we were extremely impressed with the carbon steel spring coil inside the wheel that provides a little bit of resistance as you roll out and helps you a little bit as you come back in. The coil is not so strong as to take away from the efficiency of the wheel, but it does provide that little bit of support to make you feel comfortable while using the Ab Carver. After we have talked so much about the Ab Carver, there seems very little is left to be said about the Ab Wheel from Valeo. Still, we should start with the fact that the Valeo Ab Wheel costs less than half the price of the Ab Carver so, if you are on a tight budget it is a pretty good product to own. We were particularly impressed by the double wheel, rubber, non skid wheels that really made us feel comfortable that the wheel would not slip out while we were working with it. The handles too felt very secure and comfortable. The ProSource Ab Wheel has the same basic design as the Valeo product, but it comes in blue or black, depending on your choice, and the quality of the plastic used in creating it is somewhat better. 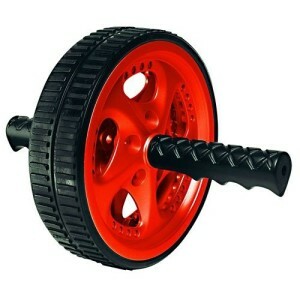 Otherwise, they have used the same double wheel, non slip rubber configuration, so the ab wheel feels stable and comfortable. 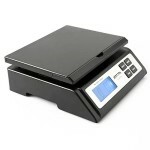 They too were able to drum up a 4.4 star rating on Amazon, from more than 120 users, so we were not the only ones impressed by the quality level of this product. 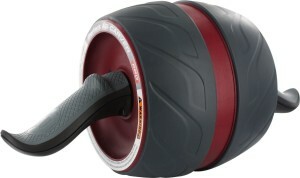 We were also equally interested in the Everlast Duo ab wheel, which is the most expensive one so far, except for the Ab Carver, of course, but it also has the best looking design. The grips are a little bit softer and the rubber on the double wheel seems to be a little bit more adhesive. 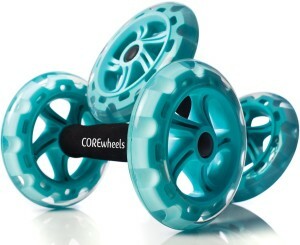 It too has received a 4.4 star rating on Amazon so it well deserves to be on our top 10 best ab wheels of list. If the thought of balancing on just one wheel scares you, although that balancing act is part of why an ab wheel is so effective, then how about a 4 wheel system. The Ab Wheels from Ultimate Body Press work on the same principle of forcing you to roll out and in, using your core muscles and your upper body. The difference is that you have a lot more control since these wheels are perfectly stable left to right and all you have to do is control the forward and backward motion. The only thing that you need to take into consideration is that the Ab Wheels from Ultimate Body Press come with a price tag almost as high as the Ab Carver. 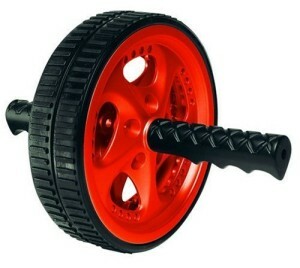 If you are really under budget, we do not recommend that you give up the idea of getting in shape but that you go for the Yes4All Dual Ab Wheel. 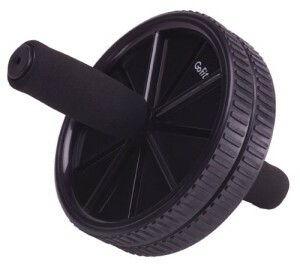 It is the most affordable ab wheel on the market in and yet, it has earned a 4.5 star rating on Amazon. You have your choice from a blue, red and black version, and, considering the price, we were more than happy about the quality of this product. If you liked the design of the Yes4All wheel, but would like to have it in black, you can go for the Ab Wheel by Champion. 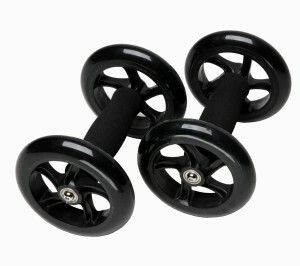 It is not as affordable as the Yes4All ab wheel but it is quite affordable and just as comfortable and secure to use. The one thing that you will need to do, once you receive the wheel, is to download an exercise video. 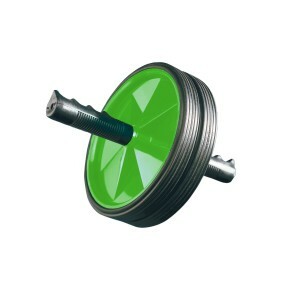 That way you will learn how to use an ab wheel for maximum efficiency. If you liked the safety feature of the Ultimate Body Press wheels, but would like to pay a little bit less for the same type of ab wheels, the Core Wheel is the machine for you. 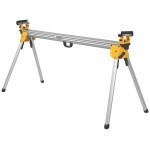 It is a company build on a single product so you can be sure that product is of an exceptional quality. They are actually using silicone wheels like the ones on rollers. So you can be sure they can take your full weight and they will not slip out of control. It should come as no surprise that we decided to feature another Valeo ab wheel after we have already stated that their initial product was our second favorite ab wheel of all time. The Valeo Ab Wheel 2.0 retains the key elements from the original, that is a double wheel with a rubber exterior for perfect grip of the workout surface. What they have done with the second version is to spend a little bit more on design, so their second ab wheel looks a lot better than most of the other products on the market today. Finally, we could not finish our lit of the top 10 best ab wheels on the market in without featuring a full, black on black ab wheel. The basic features are all there, the double wheel, the rubberized exterior for maximum grip, and the soft handles for a comfortable workout. 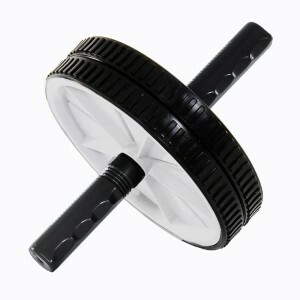 The only difference is that, with the GoFit Ab Wheel you also get a very good looking piece of sports equipment.